The American Quarter Horse Association offers two paid internships in spring, summer and fall: the Brown Printing Company AQHA Publications Internship and the A.H. ‘Bud’ Ferber Marketing Internship. The summer internship deadline is quickly approaching on March 15. With the evolution of AQHA’s Internet and social media publishing projects, the duties of the Publications Intern include managing AQHA’s online and digital content. The content on the America’s Horse Daily website and in the daily e-newsletters, is now the primary responsibility of the Brown Printing Co. intern. 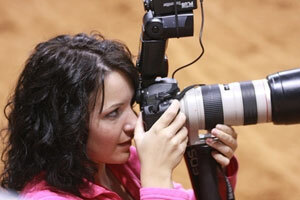 The publications intern also assists with social media efforts and AQHA event coverage. The Marketing Intern assists with implementing AQHA’s various promotions, advertising and marketing programs. AQHA’s Marketing and Communications programs reach into all aspects of the horse industry, regardless of discipline. Qualified candidates will be challenged to write press releases about the American Quarter Horse and related activities and develop relationships with media professionals, agencies and industry leaders. If you are a current or recent college student and wish to apply for the summer Brown Printing Co. AQHA Publications Internship or A.H. “Bud” Ferber Marketing Internship, please visit the Internship Opportunities page for more information on how to apply.